Problems with a bridge at Leamington Spa during March 1992 resulted in MGR coal trains from the Midlands to Didcot Power Station travelling via London, as only the down line was in use past the errant bridge. These trains travelled down the West Coast Mainline, and joined the Great Western Mainline at Acton. 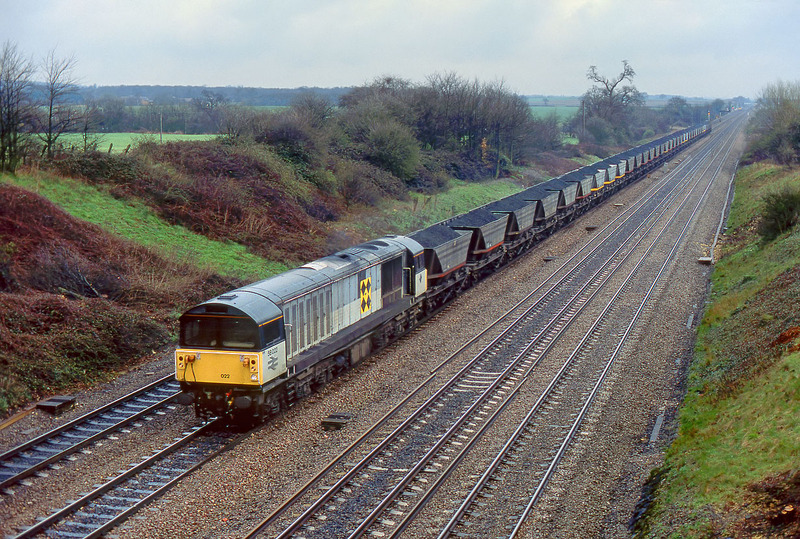 This arrangement, which lasted for a week, resulted in the highly unusual sight of Class 58 coal trains between London and Reading. So despite the atrocious weather, it was definitely worth recording 58022 passing Ruscombe with the diverted 7V49 04:08 Barrow Hill to Didcot Power Station on 28 March 1992.